Dispatch within 3-5 weeks? Are they making them to order? 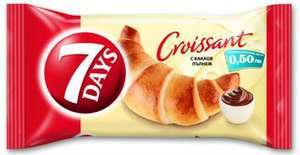 I bought some similar 2 boxes for 99p,didn't like them at all.Good deal if you like these croissants. Haven't tried these before. Do they last long before going out of date? Surely a terrible deal, can't you get croissants and other pastries fresh - 4 for £1 at Tesco at the moment? I think people just vote hot when they see large numbers. Surely a terrible deal, can't you get croissants and other pastries fresh … Surely a terrible deal, can't you get croissants and other pastries fresh - 4 for £1 at Tesco at the moment? I think people just vote hot when they see large numbers.